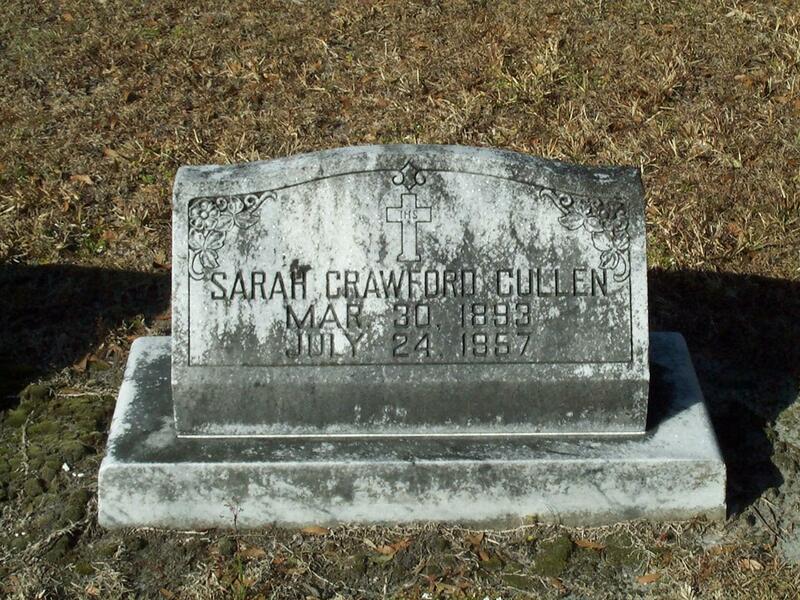 Headstone of Sarah Crawford Cullen (1893-1957) at the Conway United Methodist Church Cemetery in 2003. Cullen, the daughter of Senator George White Crawford and Sarah Mizell, served as chairman of the Orange County Democratic Committee. Cullen married Frank Wheeler Cullen and together, they had three children: Ethel Cullen, Cara Bell Cullen, and John Cullen. "Sarah Crawford Cullen." Find A Grave. http://www.findagrave.com/cgi-bin/fg.cgi?page=gr&GRid=21429290. Cook, Thomas. 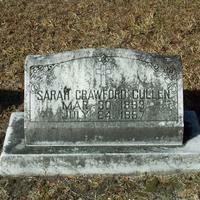 “Headstone for Sarah Crawford Cullen at Conway United Methodist Church Cemetery.” RICHES of Central Florida accessed April 19, 2019, https://richesmi.cah.ucf.edu/omeka/items/show/1914.